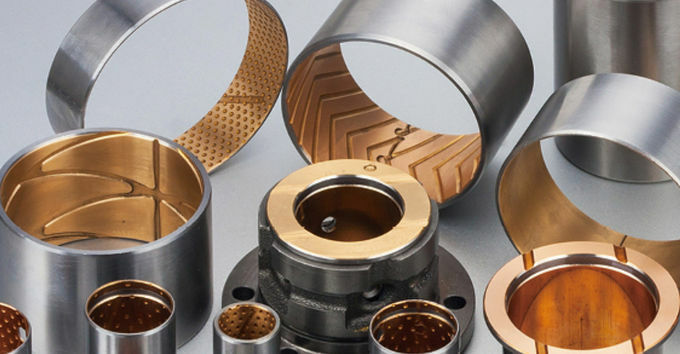 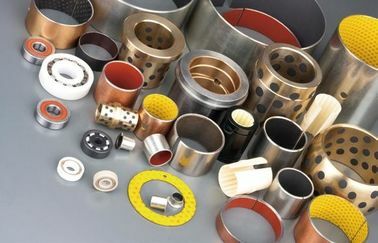 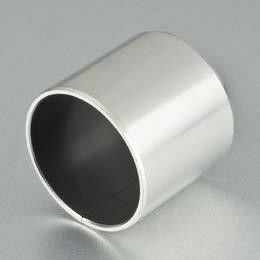 Bimetal self-lubricating bearing is a copper alloy layer with excellent wear resistance, which is based on high quality low carbon steel and sintered on the surface.The surface of the copper alloy layer can be processed into various types of oil groove, oil storage pit, oil hole and so on according to the working conditions, so as to be suitable for the occasions where it is impossible to oil continuously or difficult to oil.The copper alloy layer can provide two kinds of alloy materials including lead and lead-free.Bi-metal composite boundary lubrication products are widely used in connecting rod bearing bushes, thrust washers, piece by the side of plunger pump, gear pump side piece, engineering machinery with supporting wheel shaft, wheel shaft sleeve, tensioning wheel sets, cars with balance shaft lining and steel pin bushing, steering knuckle king pin bushings, valve rocker arm shaft sleeve, CAM shaft collar, differential shaft sleeve, etc. 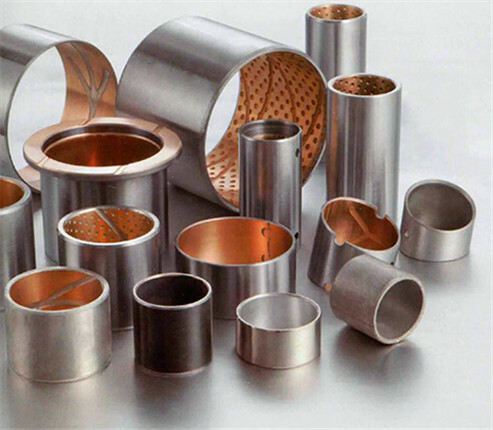 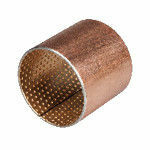 The sintered lead-free copper alloy layer of the steel substrate has high loading capacity and good anti-fatigue characteristics, which is suitable for working conditions of dynamic load and impact load, especially for reciprocating motion.According to the needs of the design of the oil groove or oil hole can be stored in the initial assembly of lubricating oil so as to extend the lubrication cycle of the bearing.The friction layer material of the lead-free formula meets the EU specification 2011/65/EU. 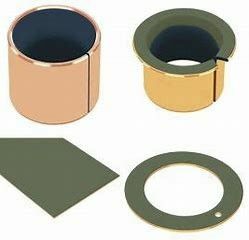 Design & manufacture of Hydraulic Power Packs bushings, Oil & Grease Lubrication systems bearings. 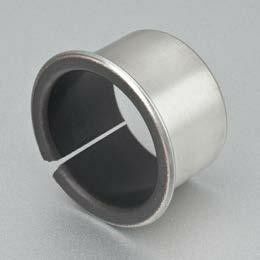 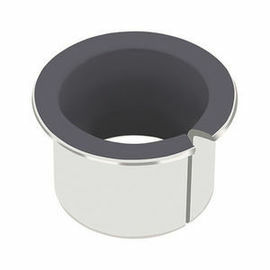 VIIPLUS Bearing is a professional manufacturer and exporter of self-lubicating bushing in China. 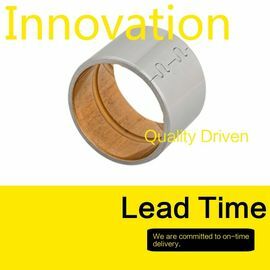 Our company specializes in research, development and production of all kinds of high-quality sliding bearing. 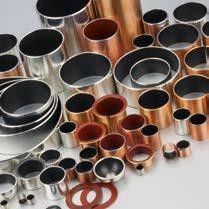 All our products are exported to foreign countries. 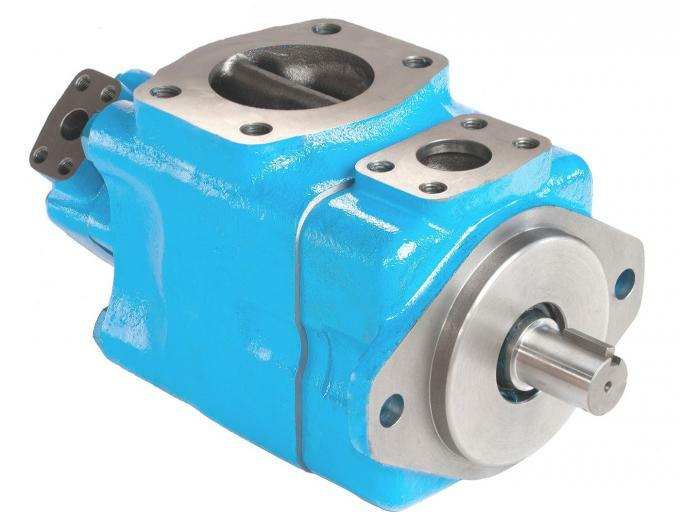 Application: High speed, heavy load engine main shaft and ransmission gearbox, etc.